I really thought you would never be born. Sometimes I still am not sure. I am careful to say we will “hopefully” have a new baby this summer. It seems presumptuous to assume you will be born safe and healthy. I struggle to speak of you with certainty and, when I do, I worry that I am tempting fate. I knock on wood after sometimes. I still remember the first time I said that prayer. I looked up the patron saint of expectant mothers and began saying it daily within days of seeing the positive pregnancy test. Ever since that first day in Max’s hospital room at Dell Children’s, I have forced myself to envision this pregnancy going successfully. I have played every milestone over and over in my head. That was what I had to do to dispel the dull certainty I felt that day after the first rush of joy. I felt a dull, defeated feeling that we would not get to meet you. It just seemed too good to be true. It did not help that I was experiencing some bleeding, just as I did at the beginning with Baby Bean. That never happened with Lucy or Max. It was not as bad as it was with Baby Bean, but it wasn’t the way it was supposed to be. The on-call nurse at the OB called in a progesterone prescription and I sat tight, waited, and prayed. The bleeding had stopped by Monday or Tuesday. The following Thursday, I thought all hope was lost. My period was due that day and I began to bleed again. I was so frightened and angrily resigned to getting the shaft again. I wondered how we would handle a third loss in one year. I tried to comfort myself with the fact that it was so early and we could try again the next month probably. It didn’t really work. Daddy stayed home from work that morning and somehow, miraculously, the bleeding stopped. I was so frightened you were trying to leave my body, but you didn’t. You didn’t leave. Somehow, we made it through that first trimester. There was no more bleeding, but every cramp sent me running to the doctor. (Apparently, the more times you are pregnant, the more aches and pains you get. Since this was my fourth, the first couple of months were pretty painful at times.) 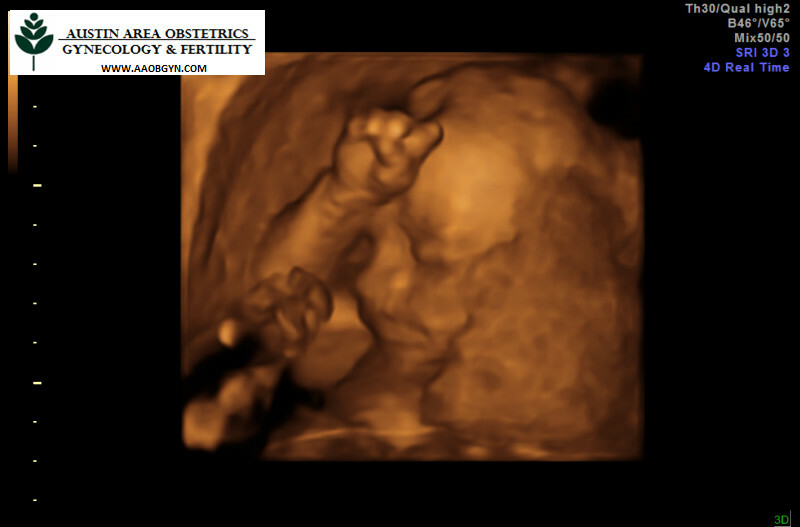 We did at least three or four ultrasounds just in the first trimester. I experienced severe anxiety attacks almost every time. My heart pounded and I clutched my little Jizo figurine in my hand for comfort, bracing myself for the worst. You were still there every time, growing steadily bigger. Every time, I reminded myself that we had cleared another hurdle. You didn’t leave my body. You were a real baby with a heartbeat, not a blighted ovum. We made it through the first trimester. We made it through the MaterniT21 test and the Level II ultrasound and fetal Echo. You are a girl with every appearance of perfect health so far. We still have three months at least to traverse before you are in my arms. We still have the birth to conquer, then the first year without a cardiomyopathy diagnosis. I am frightened for myself after what happened after Lucy’s birth, even though my caregivers seem confident all will be fine. I am frightened for you. But I am allowing myself hope and happiness. I am still picturing it all turning out fine. Even if the above does not happen, you will be born alive, healthy, and safe, and I will be as well. We will have that moment where we will look at each other and it will seem like the Earth and time itself stand still. That one moment at the very beginning of an entire life where everything seems perfect. That one moment where you get to rest and rejoice from hard work well done before the next phase begins. That moment is so sublime. I can’t wait to experience it with you. Lucy was 15 months old when she died. You will be born almost exactly 15 months after her death, most likely. You will be born almost exactly a year after the D&C that ended my pregnancy with Baby Bean. You will be born 2.5 years after Lucy, exactly the same age gap that existed between her and Max. I don’t know about that, but I do know you will bring much joy and healing into our lives. We will love you with everything we have in return. We just can’t wait for you. But we will, because you are worth waiting for.